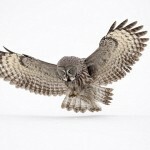 British Wildlife photographer Jules Cox from Bermondsey, London, managed to take pictures of the phantom of the north, as the Great Grey Owls are called in Scandinavian myth and folklore. 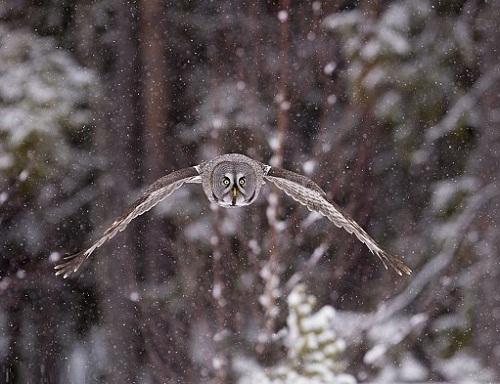 The Great Grey Owls are flying ghost-like through the wintry land in Finland, staring at the camera lens with their luminous yellow eyes. 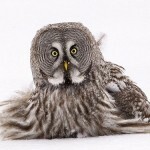 The species, of which males can grow up to 33 inches in length, are also known as a Lapland Owl. 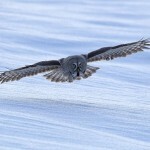 The great gray owl can survive the cold winter in the northern forests due to its soft and dense plumage. 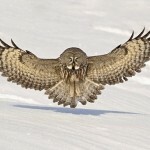 It silently glides over the ground in search of prey, or expect it, crouching on a high branch, and reacts even to the very slight rustling in the grass. 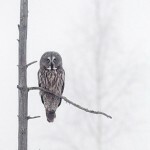 The great gray owl hides, congealing still on a tree branch near the trunk. 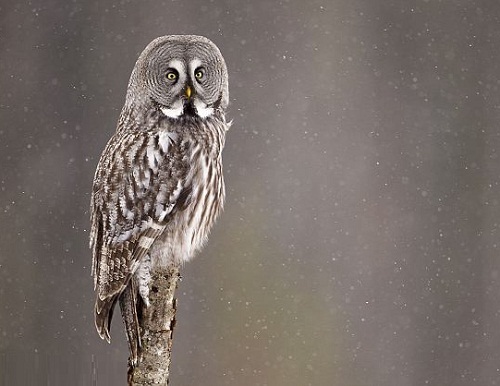 Since its feathers blend in with the bark of the tree and the bird becomes like a sticking out twig. 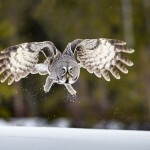 Great Grey Owl chicks often behave like little cannibals. 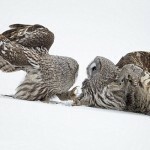 The oldest and strongest of them, when they do not have enough to eat, can eat their younger and weaker siblings. 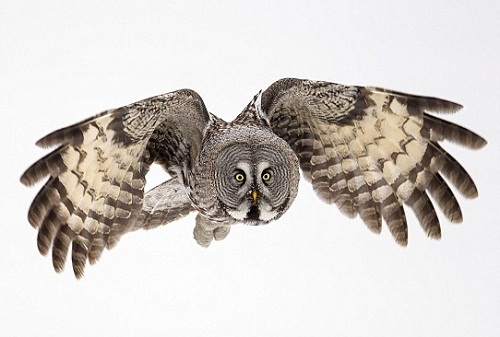 The great gray owl is the largest owl, but its size is due to its plumage. 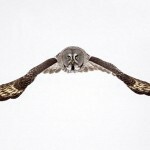 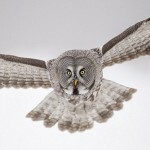 In fact, great gray owl weighs almost half as much as other owls of the same size.